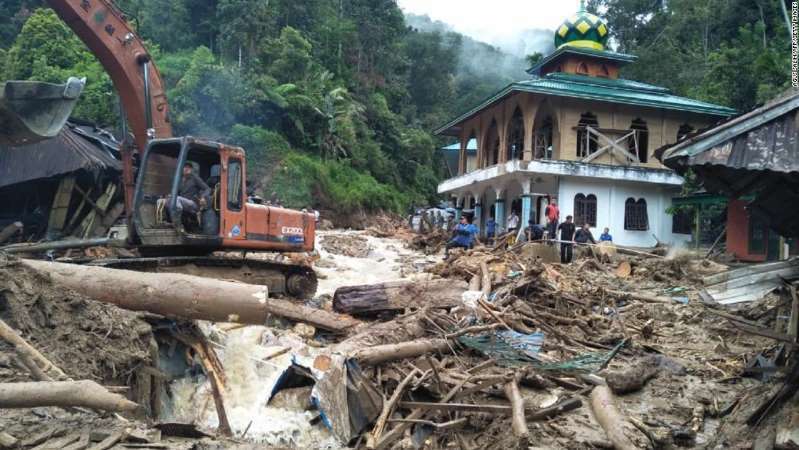 Twenty people were killed when torrential rains and flooding triggered mudslides that wiped out part of an elementary school in Indonesia's North Sumatra, officials said. Indonesia has been hit by a series of natural disasters in recent weeks, including a powerful earthquake that hit the island of Sulawesi on September 28. In the towns of Baleroa and Petobo, rivers of soil swept away entire neighborhoods in the aftermath of the 7.5-magnitude earthquake and ensuing tsunami. The death toll from the quake is nearly 2,000.